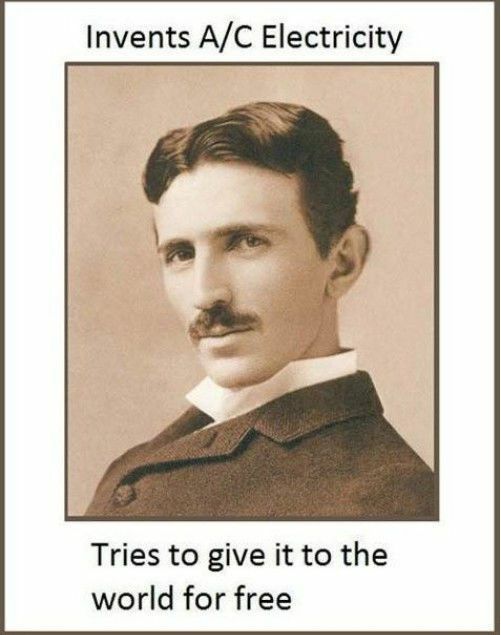 Nikola Tesla is an inspirational man from history. 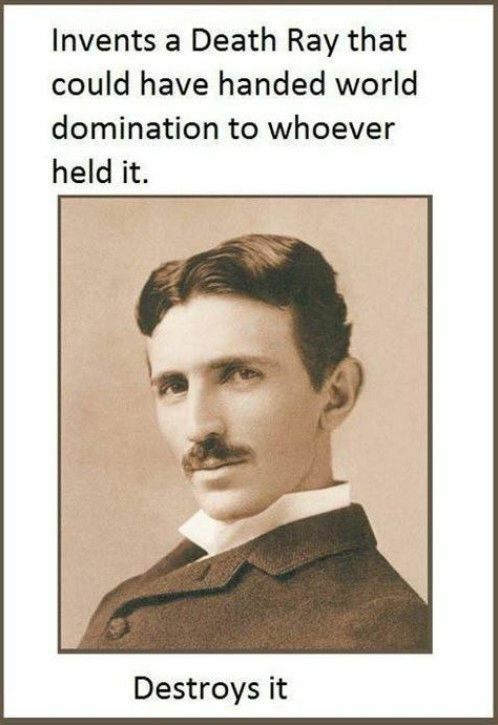 The Oatmeal also did some great stuff about Tesla on his site! We can thank the invention of "patents" to exclude real inventors from being compensated for their work. For example - History has recorded Thomas Edison didn't invent the light bulb. Sir Humphry Davy invented the "arc lamp" in 1809, which by all accounts is the modern light bulb. What Edison developed was a filament that lasted more than 1000 hours. It's kind of like making a microwave oven that heats faster... You just reverse-engineered someone else's idea and took credit for it. 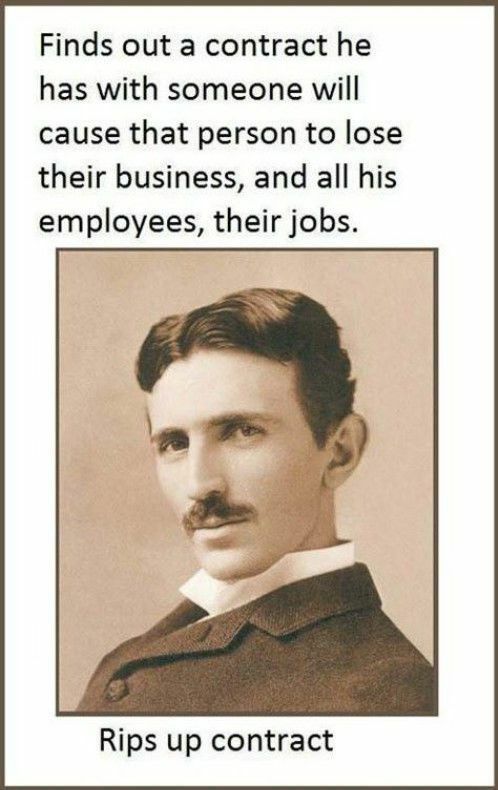 Edison and Westinghouse fucked him so badly. they even don't know who he is, and this thread from AC gave me an idea. 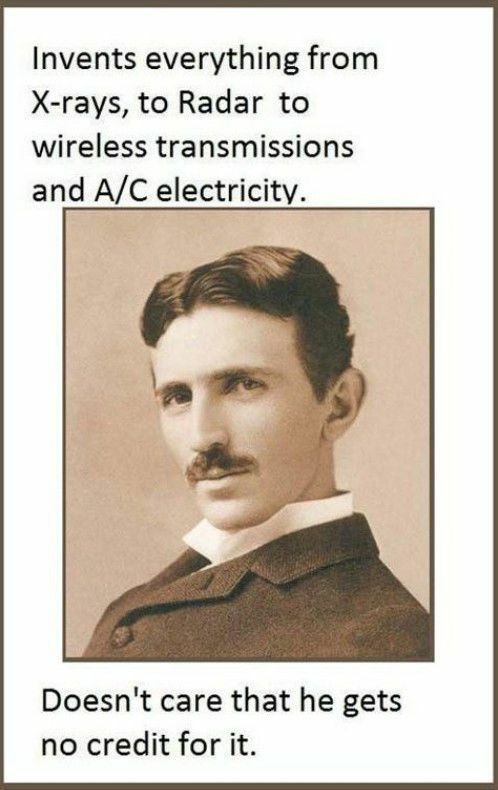 Nikola Tesla was a real contriver. 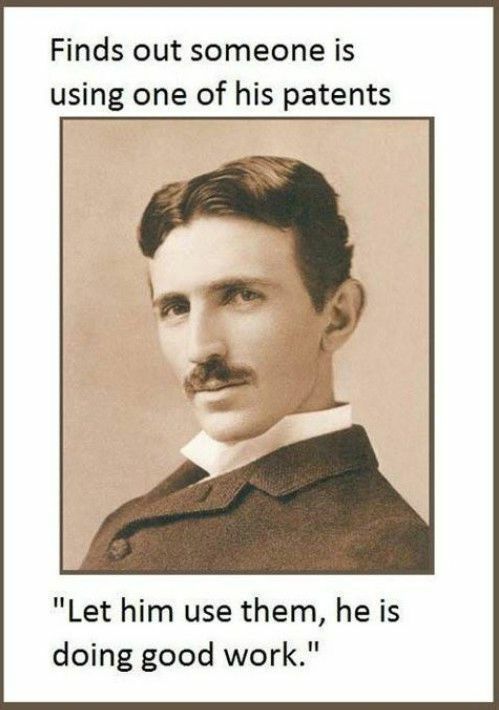 i think he also invented free energy, a machine that could get energy (think lightning) out of the air. The world needs more people like him. Good example of unselfishness of great minds! I think, if he had the money, we would've been flying around in UFO's with an antigravity motor.